When John joined the police department his future looked bright. He had a loving family, a promising career and a moral code that prevented him from compromising with criminals. While John's conscience kept him on an honest path, it also made him powerful enemies. A Mafia boss named Costello went after John's family, and his life changed forever. Now, on the brink of despair and hungry for revenge, John sets out to stop Costello once and for all. To do that, he'll take down Costello's associates one by one. 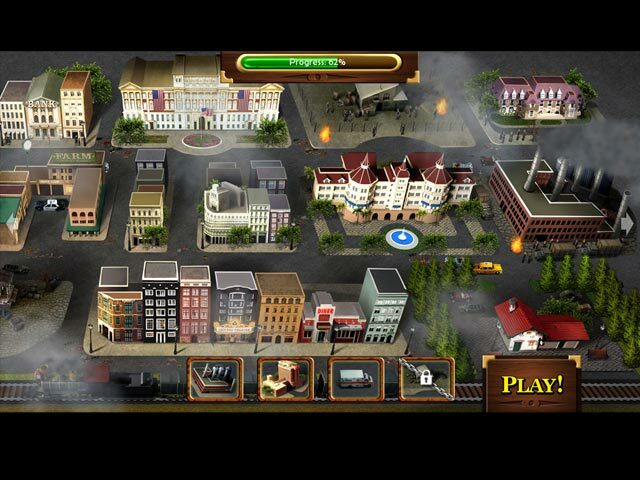 Help John free the city from the Mafia’s grip and avenge his family in this exciting match 3 game! 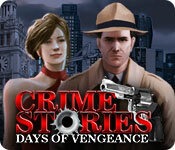 Crime Stories: Days of Vengeance is rated 3.8 out of 5 by 30. Rated 5 out of 5 by cejene from Loved this Game One of the best match three games I have played. A little change every match so you have to think. Highly recommended. Rated 5 out of 5 by jkuci from Just finished - very challenging I've been playing this game every day for awhile now (months?) and just finished it. High challenge satisfaction in timed mode. The story is interesting but with flat ending. Overall, I really loved playing it and I look forward to the next. Rated 5 out of 5 by Snowview from one of the best M3 ever I loved the campy/ silly/ superserious story, the matchables (guns, drugs, etc) and the gameplay. So many of the new m3 are unplayable to me with limited time and/ or moves, or just not fun--can only make progress with large matches, or too gimmicky. This was none of those--just continually interesting game with different boards and great power-ups. Looking forward to the next one. Rated 5 out of 5 by Fafferu from Great game I loved the graphics. really cool story and a cölassic and good match3 game. I reccomend this game. Rated 5 out of 5 by kandinsky from This is "The Voice From Heaven 2. " In January we had from this developer The Voice From Heaven , like this a plot driven match three game which as I wrote in a review then was a gift for me at that time. 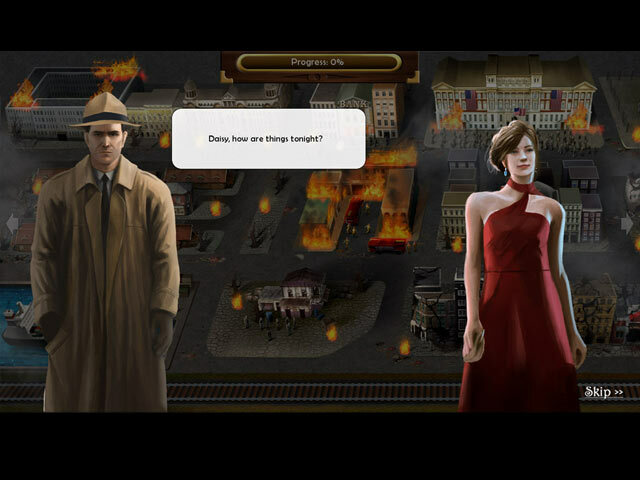 The plot in Crime Stories is very different from that sunny whimsical journey through fairy lands...Here is is a police officer's quest for revenge rather in the "Sin City" mode as he goes after the Mafia bosses through fire and bullets. There is a jazz background which is very pleasant to me, it was Jazz that drew me to the first two Cadenza games. However with every difference it can be noted that in fact the game is pretty much the same and even the same match three levels are being used ,at least often, with of course different colors and designations but in fact the same games. A difference is that the boost ups have been strengthened in this appearance with one which eliminates a whole line , and another ,dynamite, which blows out a major part of the set up. This makes easier what was already a rather easy match three game but for me the strong plot and colorfulness of the game are enough and indeed I like a challenge which is more imaginary(looks difficult even though the difficulty melts away in a few minutes play) than real. It is fun , a time passer without other pretension than fun, and I like it, and I think you may too... so I recommend this game to you! Rated 5 out of 5 by cajerleia from Loved this game! Everything about this game is perfect!! Especially loved the story line and the wonderful jazz music played through out the game. Big Fish!! Please make more like this one!! Rated 5 out of 5 by ldmaddigan from Challenging Match 3 I enjoyed this Match 3 game because some levels were quite challenging. Often, I can finish a match 3 in a day. This one gave many more hours of play. 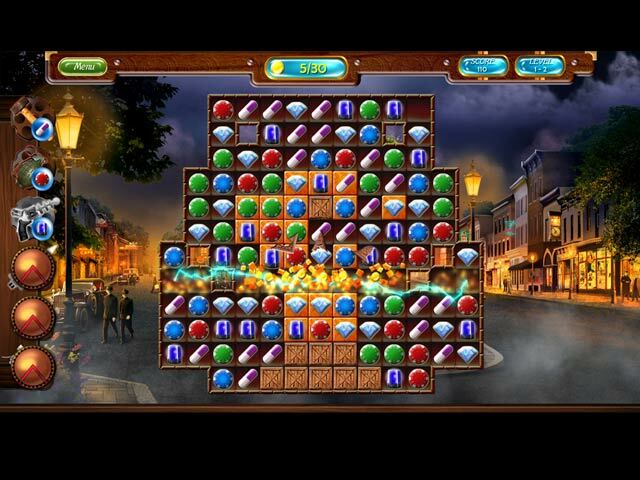 The storyline is also original for a match 3 game. I didn't play with the sound but the visual quality is good. Rated 5 out of 5 by confused9988 from gangsters! I love match three. This is a really cute story from the 1920's about the mob. It has a relaxed mode which I really love. I enjoyed this game quite a bit.